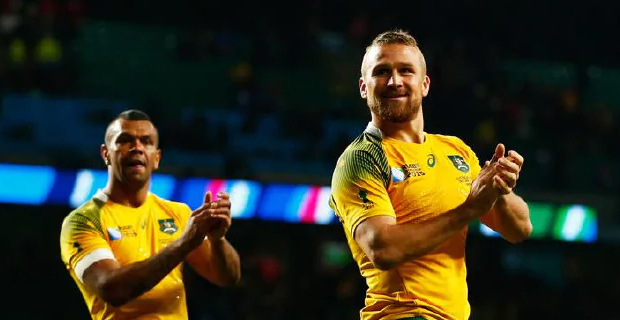 Wallabies Head Coach Michael Cheika is looking to former Wallabies inside centre Matt Giteau to fill the role that was left by former Wallabies attack coach Stephen Larkham to aid in their build up towards the Rugby World Cup in Japan. Larkham was sacked early in February for having a different attacking strategy than what the Cheika had intended. Giteau has shown his availability for the role and says that he is not going for that role because of money. At this point in time though, Giteau has yet to be approached to mentor the Wallabies’ attack. Giteau was a player‑coach for Toulon after Mike Ford left the coaching role in 2017 and also it is understood that he has done some coaching with the Brumbies this season. Giteau has played 103 Tests for the Wallabies and has featured in three World Cups and has played 2 finals. When Wallabies Coach was asked when Giteau will be given the appointment his reply was they were not in a hurry but he reckons it will be in May. Australia is pooled with Fiji, Wales, Uruguay and Georgia. The 2019 Rugby World Cup will be held in Japan from the 20th of September to the 2nd of November.